Great basements are a rarity. Most people who are looking to add living space to their home don’t consider renovating the basement. They often choose to add a room or two to the upper levels of the home instead. If you’re looking to add square footage to your home, consider renovating your basement instead of adding more rooms. The basement is often the most neglected area of the home. Often unfinished and used as mass storage, this diamond in the rough could transform into anything you wish. The professional designers and contractors at Cricket Creek can help with design ideas that you may not know are possible. 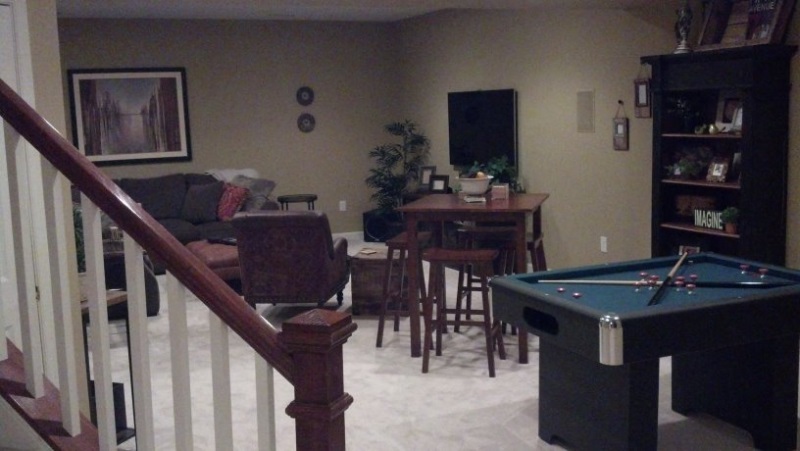 We will help you realize the true greatness of your finished or unfinished basement. Man Cave. Everyone needs one. The design and renovate process begins with a one-on-one consultation at your home. We’ll discuss options and create a draft based on the design you have in mind. When you’re happy with the design, and we’re sure we understand what you want, we’ll help pick out materials that work well together. We’ll help get you the best prices possible on all materials and finishing products. Contact us today for a free in-home professional design and estimate. Our toll-free number is 1-800-868-1148, or you may email us any time.